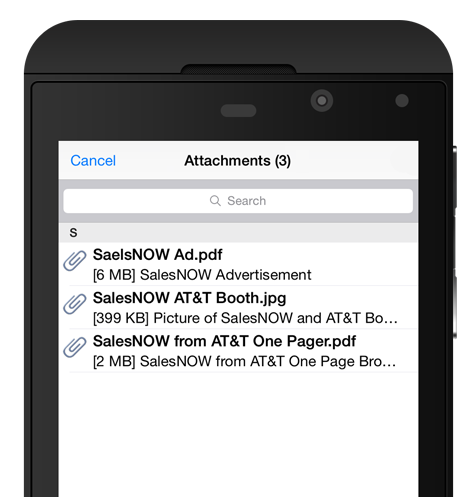 Access your mobile documents wherever you are and email them directly from within SalesNOW Mobile. Store your proposals, product specification sheets and pictures in SalesNOW and access them directly from your iOS or Android device. Simply select your Customer, Opportunity or other module that your document was stored under, and select Attachment from within that module. You will see all attachments that are associated to that customer, opportunity, etc. and select the one that you would like to open. You can now view this attachment on your device and even email it directly to your customer. While at a customer site, take a picture of how your products are displayed on their shelves or how your product is being used at their facility. From SalesNOW select the module such as contacts or deals that you would like to associate this picture to, and then select add attachment. This will give you the option to select from a previous picture taken or to take a picture now. 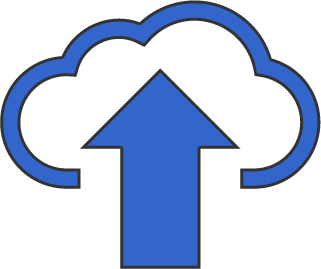 This picture will not only be stored on your mobile device, but will be uploaded to the SalesNOW website for other members of your team to access immediately.